Swiss can sometimes be a little bit crazy. For example there is this Swiss distillation called “Absinthe Distribution” (http://www.absinthedistribution.ch/distribution) which takes pride in keeping alive traditional absinthe recipes from “Val-de-Travers”. All their alcohols are based on natural herbs. 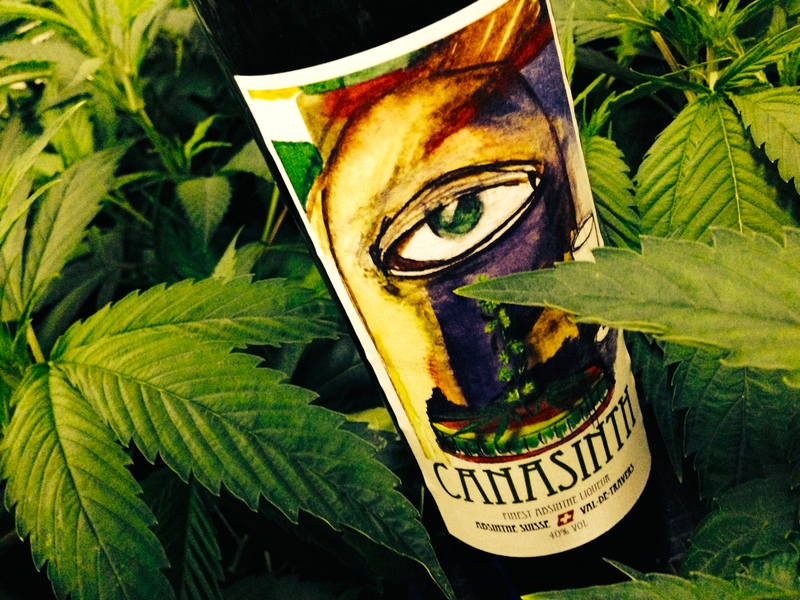 One of their newest creation is cannabis flavored absinthe. No worries, the absinthe only contains flavours and no THC or other cannabinoids at substantial levels. (In this context, I would like to stress that it is the dangerously dumb to mix alcohol with THC; the effects can be deadly and are not enjoyable).